Cloom provides Custom Wiring Harness​​ in a variety of sizes, types, and styles. For over ten years of experience as a leading custom wiring harness manufacturer, we have been providing excellent custom products and services to our clients. We provide various prototyping and manufacturing services to support our customers’ individual needs. Fully-automated production equipment has largely shortened production time. The custom wire harness is built according to the customer detailed specification and our professional standard. Each step are monitored and goods will be strictly tested before each shipment. Skillful foreign trade staff to deal with your cases to save your energy. 1. Cut the line: check whether the standard type of the wire is correct; the scale is not in line with the demand; the cut is necessary to be flush, the wire cannot be scratched, the wire is not dirty, etc. 2. Peeling the outer skin: check whether the peeling is flush, cannot peel the core wire, grouping silk, etc., the peeling scale is not correct. 3. Group disposal: Whether the trimming scale is correct, whether the trimming is flush or not, the core wire cannot be damaged when trimming the group. 4. Peeling the inner jacket: check whether the peeling is flat; whether the peeling scale is correct; whether there is a peeling core wire, broken copper wire; the insulator cannot fall when half peeling. 5. Cover heat-shrinkable tube: Check if the tube scale and type are correct. 6. Prepare the solder: Check whether the temperature of the tin furnace is correct. Is it necessary to arrange the copper wire of the core wire before soldering, whether there is a bifurcation, a tortuous or a discount; if there is a copper wire bifurcation after the solder is prepared, The appearance of the big head, copper wire and hot insulation. 7. Solder: Check if the temperature of the soldering iron is correct; do not burn the insulation, the tin point should be lubricated, no tin tip, no false soldering, no soldering. 8. Terminal crimping: Admit that the standard of the terminal and the wire is correct; whether the terminal is pressed with or without the bell mouth, skew, insulation and core wire is too long or too short. 9. Terminal piercing: Check whether the connector and terminal type are correct; whether the terminal has any damage or deformation; the terminal has the appearance of no leakage, insertion wrongly, or stab in place. 10. Cable crimping: Check if the connector type is correct; the direction of the cable is correct; the core wire is not damaged, exposed copper, burnt; the crimp is not in place. 11. Blow heat-shrinkable tube: shorten the tube shortening is not outstanding, can not burn the insulation. 12. Assemble the outer casing: whether the outer casing is misplaced, scratched, burrs, etc., whether there are missing parts, whether the screws are twisted, oxidized, discoloured or loosened, and there is no conformity after assembly; if the outer casing is Directions, then must be assembled according to the needs. 13. Labelling: Check whether the content of the label is correct, clear, and without hyphenation; whether the label is correct or not; whether the label is dirty or damaged; whether the label is in the correct orientation. 14. Tie: Check whether the standard, colour and orientation of the cable tie are correct; no cracking or loose appearance. 15. Injection moulding: Check whether there is any dirt on the mould, whether there is a material shortage, air bubbles, poor adhesion, poor hardening, etc. 16 plug moulding: check the plug for damage, unevenness, lack of material, raw edges, debris, flow lines, etc., acknowledge that the metal terminals are not deformed, damaged, exposed copper and other defects. 17. Electrical View: View according to the inspection guide ticket requirements of the corresponding products. 18. Appearance view: Be careful to view all items that can be seen. 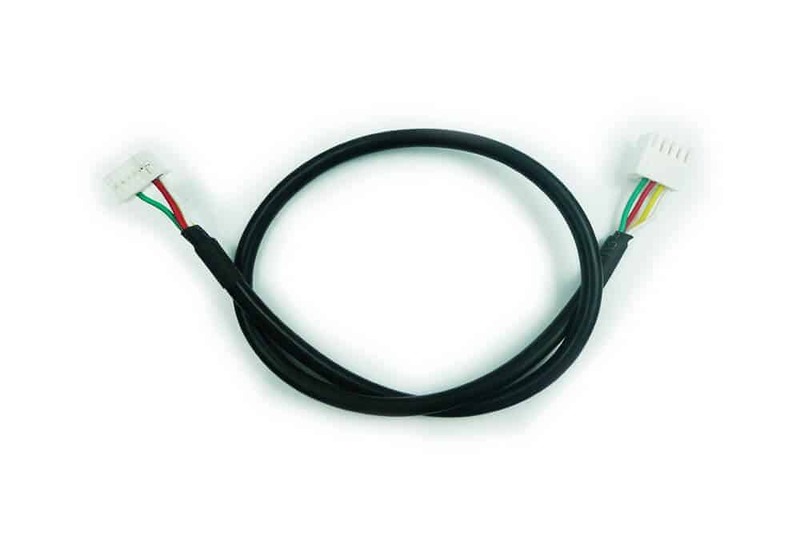 The wire harness is also called arbitrarily selecting the number and spacing of the wires, which makes the connection more convenient, greatly reduces the volume of the electronic product, reduces the production cost, and improves the production efficiency. It is most suitable for moving parts between the motherboard and the PCB board to the PCB board. , used in small-scale electrical equipment for data transmission cables. It is understood that it is widely used in the connection between various printer print heads and motherboards, signal transmission and board connection of plotters, scanners, copiers, stereos, LCD appliances, fax machines, various DVD players and other products. In modern electrical equipment, there is almost nowhere. Common specifications of various pitch flexible wires are such as 0.5mm, 0.8mm, 1.0mm, 1.25mm, 1.27mm, 1.5mm, 2.0mm, and 2.54mm. What are the requirements for environmentally friendly wire harness? Adopting green environmental protection insulation layer, sheath and special oxygen barrier material, it not only has excellent motor energy and physical mechanical function, but also guarantees that the product does not contain halogen, and its secondary pollution caused by incineration avoids the traditional PVC. Carcinogenic “dioxin” material occurs when the wire is incinerated. Insulation and sheath do not contain lead, cadmium and other heavy metals harmful to the human body, and will not pollute the soil or water source when the electronic wire is used and discarded. And after the harsh toxicity test, the white mouse is safe under the premise of the prescribed test. Adopting new special coating materials that are environmentally friendly, no toxic air such as HCl will occur during the production, utilization process and incineration, and the amount of acid gas emitted will be small, and the damage to personnel, equipment and instruments will be small, and the environmental characteristics will be more obvious. The environmental protection electronic line fully guarantees the construction conditions for high fire-fighting conditions. The electronic wires are not easy to be burned during the fire and can prevent the flame from expanding and the expansion of disasters after incineration. The smoke generated when the electronic wire is incinerated is extremely thin, which is conducive to the evacuation of personnel and the work of fire fighting. The light transmittance of the product is more than 40%, which is much higher than the standard of the light transmittance of the traditional flame retardant type electronic wireless than 20%. Take green environmental protection materials that are not in the same layout as ordinary people to ensure ultra-low water absorption. The extraordinary UV absorber makes the product have excellent UV protection. It ensures the safety of the use of such products and delays the service life. The first company to launch the name of “environmental electronic line” is a Japanese company whose product scale is the fn (eco material) environmental electronic line scale. The western countries also set the leading environmental protection electronic line scale conditions in the UK, and gradually expand in the future to the world. 1. Smooth surface, no black line, no chaotic line, no pitting, no oxidation, no smudge, no scratches, no tin plating (sticky tin, leaking tin), no slash, no hand joint, No fingerprints. 3. The tension of the terminal wire is moderate but loose or too tight. 4, the wire harness is good, uniform, no stacking, underside (low side of the side or low side of the two sides), no stocks. 1. Check the certification mark. Products with a wire harness that should be compulsory certified shall be marked with a certification mark in the prominent position of the product, that is, “CCC”, “UL” and “ROHs” mark. Otherwise, it is an unlicensed product. 2, the length. The national standard specifies the delivery length of the wire harness. The length of the loop should be 100m, and the length of the disc should be greater than 100m. The consumer can measure according to the length of the label. The standard stipulates that the length error does not exceed 0.5% of the total length. If it does not reach the lower limit of the standard, it will be unqualified. The length of the terminal wire is 610m/volume, and each label has a note. 3. Observe the wire finish and colour. wire harness the copper conductor is metallized or non-metallized annealed copper wire. The aluminum conductor is aluminum or aluminum alloy wire. The surface is smooth, the copper conductor is light purple, and the aluminum conductor is silvery white. Otherwise, the conductor is likely to be doped with other impurities. , causing a drop in electrical conductivity. 4. Measure DC resistance. In order to ensure the quality of the purchased wire harness, you can first take 3 – 5 meters from the product you want to purchase to the inspection mechanism for DC resistance measurement. 5. Look at the inspection report. As a product that affects the safety of people and property, the wire harness has been listed as the key point of government supervision and inspection. The regular manufacturers are inspected by the supervision department on a periodic basis. Therefore, the seller should be able to provide the quality inspection department inspection report, otherwise, the quality of the product will lack a basis. 6. Detect insulation and sheath. The insulation of the wire harness and the thickness of the sheath should be uniform and unbiased, and the hand induction has obvious tension and elongation. At the same time, the surface of the insulation and sheath should have a continuous printing mark of the name of the manufacturer and the type of the product. The mark interval: the insulation does not exceed 200mm, and the sheath does not exceed 500mm. Don’t know how to start customizing your harness? 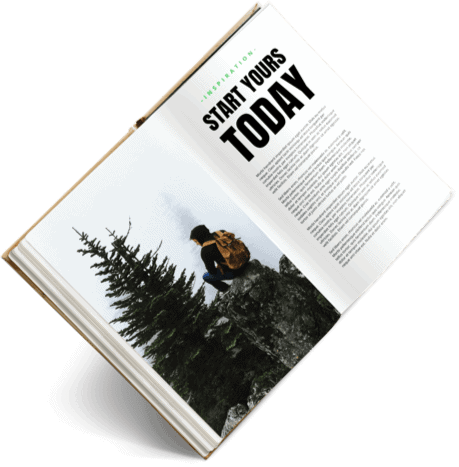 Free download our harness guide.